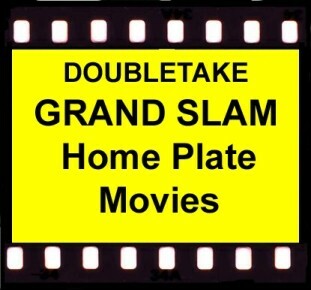 Here's a few GRAND SLAM HOMERS for all you SNL writers. In case you ever need twin hosts, you can use these and us. These Bases "Loaded" HOMERS, might make better sense if you're loaded while you're reading them. Picture if you will, The Saturday Night Live TwiNlight Zone. FIFE IN THE LAST LANE, a new musical comedy by Ron Howard in which Barney becomes a long distance truck driver who gets stuck out in Oklahoma and wanders into a Mayberry look-a-like town. Of course, he exclaims, "Oh no! It can't be. May Bury? Me? Not on the lone prairie!" ALL WYATT ON THE EQUESTRIAN FRONT, a remake of a Brian Donlevy, Hugh Downs, Donald O'Conner flick, in which a mad scientist turns Francis the Mule into a weatherman named Hugh O'Brien who keeps burping up Tombstones. AN AMERICAN GORILLA IN THE PHILIPPINES, King Kong captures the nation, flees with the gold, and ...whoops, we think that plot may have already been used recently. FOR TOMB THE WELLS BOIL, The scene: an Egyptian pyramid that has been turned into a health spa. The cast: Dale Richardson and Donna Fargo. The plot: stop the OXY 5 from zitting away. A WORD IN THE HAND IS BERTH TWO, IN THE BUSH, an Australian setting, where the daily news is used for toilet paper. FURVIVAL OF THE SITTEST, do bears sit in the woods in this WW3 remake? And while we're getting philosophical again, Does the tree falling in the forest with no one around kill the rabbit it falls on? BEAUTY IS IN THE EYE OF THE BEE HOLDER, the Impossible Mission, the name of a secret sanctuary and drug treatment center for P.O.W. 's, (People On Words) has been taken over by a group of radicals. The radicals have managed to capture and microscopically shrink the famous horse, Black Beauty. Your mission Jim, should you decide to accept it, is to infiltrate the Mission disguised as bee keepers and smuggle the horse out in your retina. A sequel entitled, Out of The Horse's Mouth, is now under consideration. THE HIGH AND THE MIGHTY, John Wayne plays a mouse (mighty) who is the last one alive that can bring down a plane whose passengers have all been drugged with laughing gas. 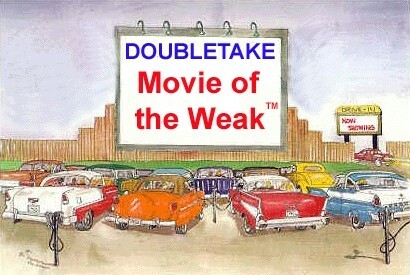 HE AIN'T HEAVY, HE'S A BOTHER, Neil Diamond and DoubleTake are on a different plain. Dennis tries to sneak David on board by hiding him in his luggage. RIT AND HUN, an emergency room sit-com in which a hit and run accident involves a German bus and a Communist (red) rit dye truck. Everyone is dying, one way or another. WORDS TO JUMP BYE, based on the unabridged book by Tony Bennet. FLASH YEAR 2022: SYLVESTER STALLONE TODAY ANNOUNCED PLANS FOR HIS MOVIE, "ROCKY 22", CO-STARRING ROBERT WINKLER AS A BULLFIGHTER. IT IS SCHEDULED FOR RELEASE AROUND THE FIRST OF APRIL. TENTATIVE TITLE FOR THE PROJECT IS "ROCKY AND BULL WINKLER" OR SHOULD IT BE" BULL WRINKLER"?